'It Better Be!' Justin Bieber's Mom Reacts to April Fools' Pregnancy Joke - celebrities life, news, blogs, photos, gossip etc. 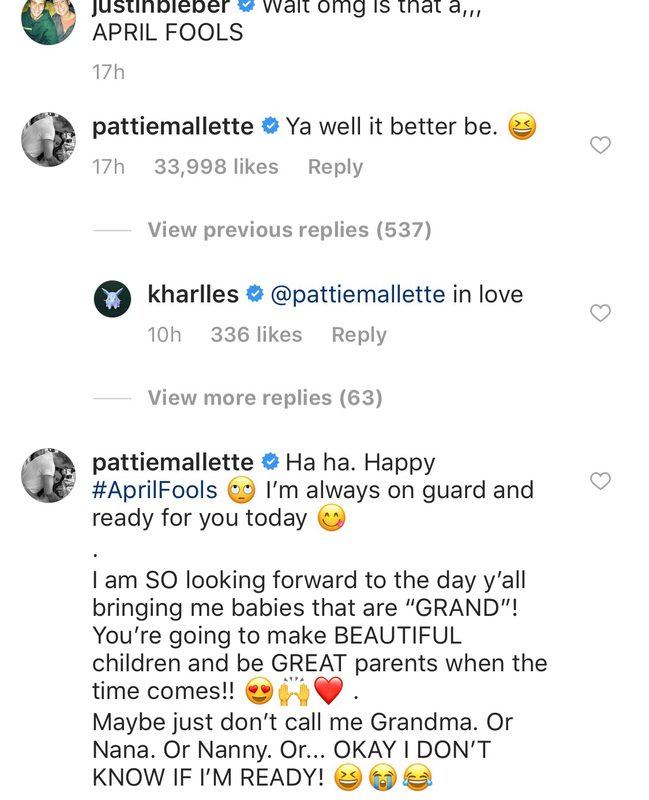 Justin Bieber’s mom, Pattie Mallette, had a lot to say about the singer’s April Fools’ Day prank in which he jokingly announced his wife, Hailey Baldwin, is pregnant. The proud mama’s reaction was a lot calmer than most in Bieber’s comments section, which included mixed feelings on his staged photos of the 22-year-old model at a doctor’s office showing off her bare stomach. Many followers were upset with the “Sorry” crooner for his controversial post, pointing out that millions of women struggle with infertility. Last month, Bieber and Baldwin — who wed in a New York City courthouse in September 2018 — sparked speculation they are expecting their first child when the Canada native hinted at potential fatherhood when he announced he wouldn’t be going back on tour.